I take a really relaxed approach to food on trips. 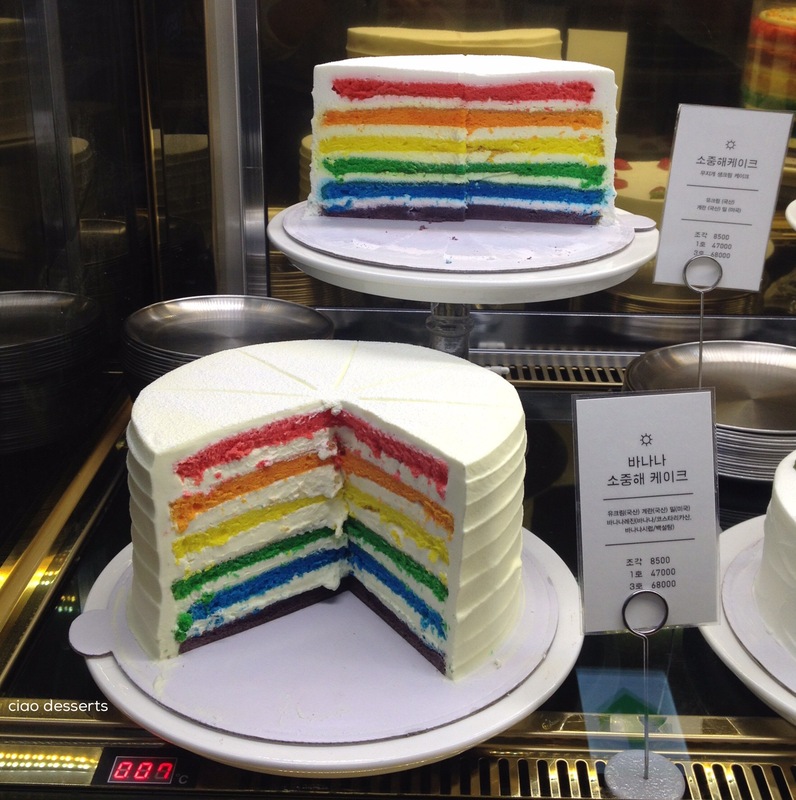 But one item that was on my wish list of foods to try while I was in Seoul was the rainbow cake at Dore Dore. I originally thought the cafe was located in Sinsia-dong, but I simply couldn’t find it. I gave up after walking up and down the street three times. 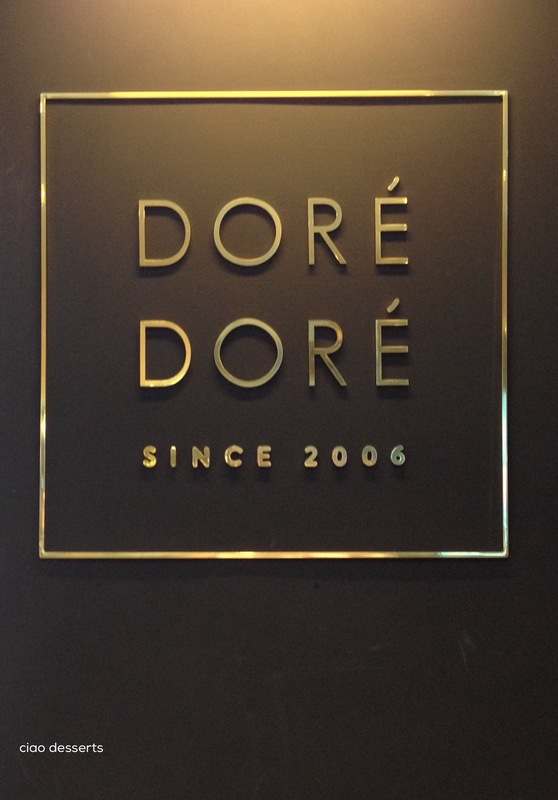 Fortunately for me, my aunt found a branch of Dore Dore at the basement level of the Hyundai City Outlets. Dore Dore is a self-service cafe, which means they give you a little device, and when it buzzes, you go to the counter and pick up your order. In the meantime, you can drool over all the other cakes in their display case. 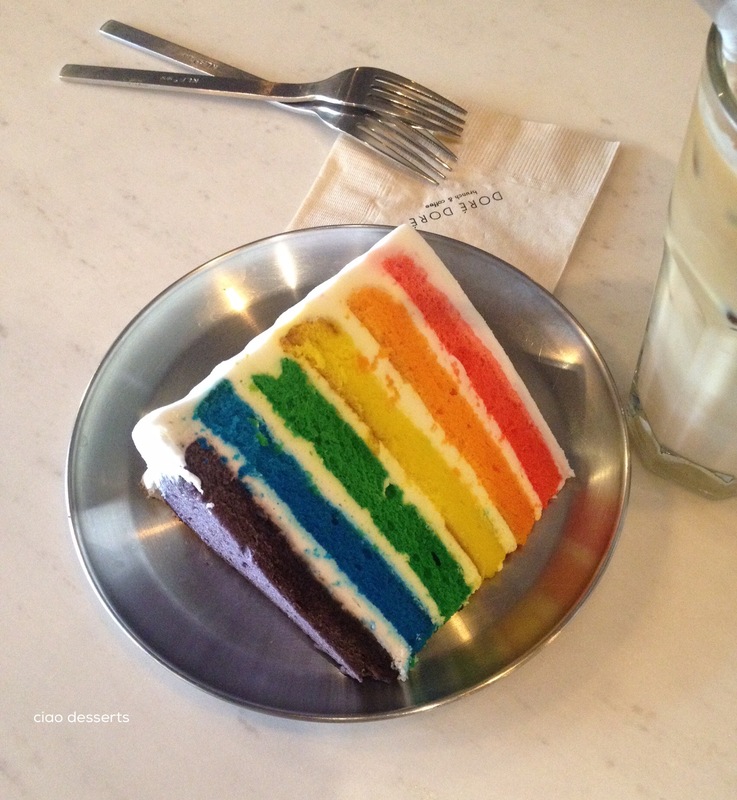 When our order was ready, I was a little disappointed to see that the Rainbow Cake arrived on a stainless steel plate. Yes. Like maybe in a cafeteria? The cake also did not taste as spectacularly as it did in my imagination. I sort of had the idea in my head that all the different colors would be different flavors~ pink would be strawberry, blue would be blueberry, purple would be grape. But it was all the same flavor (probably for the best, because otherwise it would have just been a riot of artificial flavoring!) And to be honest, the layers were a bit soggy. So anyway. In reality, the rainbow cake did not live up to my expectations. However, overall it was still a lovely afternoon. We enjoyed the cool and quiet atmosphere of the cafe, had some time to chat, and then moved onto the Hottracks bookstore next door, which had a big selection of books, and Korean branded stationery, that captured my attention (and the rest of my Korean won…). 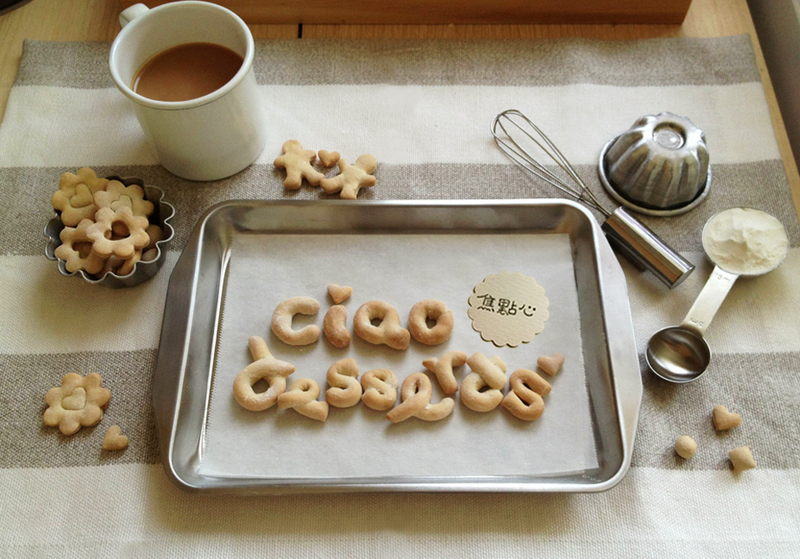 This entry was posted in Uncategorized and tagged afternoon tea, cake, Korea, Rainbow cake, Seoul, travel. Bookmark the permalink.